Heritage Auctions presents the first Official ANA Auction of Ancient & World Coins in more decades than anyone at Heritage can remember — and that includes all of us 'old-timers.' Following our first Signature Auction of Ancient and World Coins as the Official Auctioneer of the CICF, and our record-setting NYINC auctions, you can easily see that Heritage is dedicated to bringing you the very finest numismatic properties in the most important auctions of the year. This auction will take place August 12-16 in Boston and over the Internet through Heritage Live. The lots offered in Boston will intrigue you, with major selections of European, South American, and Chinese coins. The Edward Roehrs Collection of U.S. Regulated Gold is the largest offering of these historic coins in decades — probably ever, according to our search of the auction records. The Highlands Park Collection of British Coins continues our long-standing tradition of being a critical source for important British coins. The Don Benito Collection of Hispanic Gold and The Recife Collection of Brazilian 6400 Reis together confirm Heritage's growing importance in this market segment. The Guilford Courthouse Collection includes some of the most incredible condition British coins that one might expect to see. Our recent offerings of modern Chinese rarities have obviously spurred interest in these exciting coins, and we invite you to examine an amazing selection of these important items, including three lucky number 8 Lunar Kilo gold 10,000 Yuan. 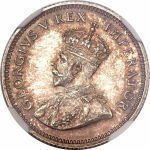 George V Specimen Sixpence 1928. KM16.1 for type but an unlisted date, SP63 NGC, Reeded Edge, struck in .925 (sterling) silver; bold strike, the date very sharp and clear, squared-off rims, light silvery gold iridescent toning. Totally original surfaces. 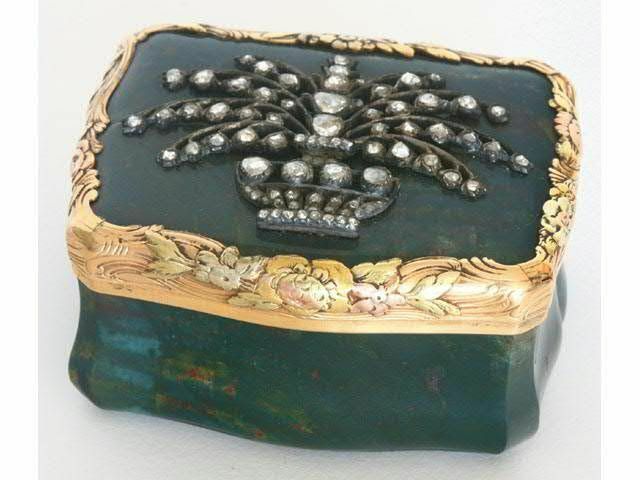 This phenomenal coin possesses more eye appeal than we can probably communicate by photographic images, a sparkle that no camera can capture. Hern's Handbook (2009 edition) lists this as S165 and then comments "None Minted," either in proof or for commercial circulation. Previously, only 5 dates were known for this short-lived design type, with "pence" written out, in this denomination. As well, the other dates were struck in .800-fine silver. This fabulous coin, which obviously is unique and in sterling silver, turned up in the United Kingdom only recently. Its fineness alone indicates that it was specially minted. 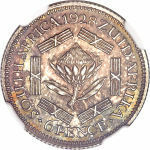 Its appearance should excite every collector of South African coins, because British colonial and commonwealth issues have been studied extensively and thoroughly catalogued, without any previous scholar or collector ever having a hint that this date exists. An important discovery. Estimate: $200,000 - $300,000. Bust left/Crowned Imperial eagle with date and value, Bit 312 (R2), Fr-171, Proof 61 NGC. Fully mirrored fields, with boldly struck details. The surfaces exhibit a few minor marks beneath attractive greenish-gold patina. Much nicer than one might expect for a coin of this grade. This was thought to be a special commemorative issue for the Coronation of Nicholas II. It was issued in a tiny mintage of 301 pieces, of which very few examples are known to survive. 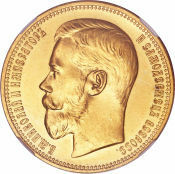 This piece, along with the 1908 25 Roubles and the 1902 37-1/2 Roubles, were the largest gold issues of the era in terms of gold weight. All three of these issues have the same gold weight of 32.26 gm of pure gold. 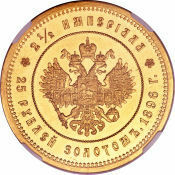 One of the classic gold rarities of nineteenth century Russian numismatics. Estimate: $125,000 - $150,000. Ferdinand VI Pillar 8 Reales 1755/1-J. KM5, AU55 NGC, deep gray patina with underlying mint luster. 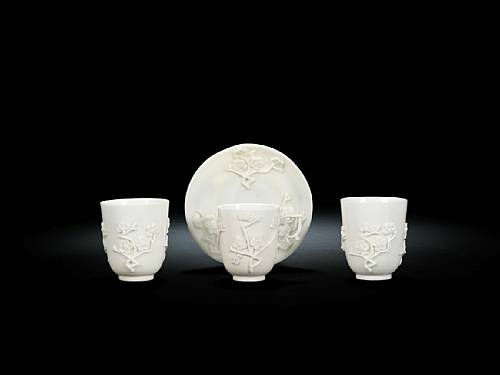 The design features on both sides are fully struck and attractive. One of the classic rarities of the entire Latin American series and the Holy Grail for collectors of Chile. This example has been hidden away for more than 60 years but is now being made available to the numismatic public. Estimate: $75,000 - $90,000. People's Republic of China Year of the Dog Proof Lunar gold Kilo 10,000 Yuan 2006. The obverse features the dog-shaped belt-hook pictured on ancient Chinese bronze ware, while the reverse depicts two dogs and the value, 100 mm, 32.146 oz., unlisted in Krause for some unexplainable reason, Gem Ultra Cameo Proof, in the original hard plastic holder, sealed soft plastic mint package, and original polished hardwood case and box. Only 15 pieces were struck, all for export, of this amazing issue, and the example offered here is lucky number 8 of the 15. The number 8 is prominently displayed on the certificate, and also stamped in the edge of the coin (No 008) by the Shenyang Mint. Estimate: $200,000 - $225,000. Republic silver Essai Venezolano 1874. KM-E16, MS63 NGC, superb silvery-gray and gold patina over full prooflike mint brilliance. The strike is meticulously sharp as would be expected for the Paris Mint. The obverse fields display some faint handling mentioned for absolute accuracy. An extremely rare and important pattern which might be available once in a lifetime. Estimate: $60,000 - $75,000. Bruttium, Rhegion. Ca. 415/0-387 B.C. AR tetradrachm. (22 mm, 16.46 g, 10 h). Facing lion's head / Laureate head of Apollo right; behind, olive spray. Herzfelder 75 (D43/R63); SNG ANS 660; HN Italy 2496; BMFA 204 (same dies). Choice XF, lovely toning. A magnificent specimen. Ex Triton I (2 December 1997), 179. Rhegion was a city of Magna Graecia at the toe of Italy founded by colonists from Euboian Chalkis, Peloponnesian Messenia, and Sicilian Zankle in the eighth century B.C. According to tradition, the Chalkidians provided the main impetus for the foundation, when, following a disastrous harvest they dedicated one tenth of their citizen body to Apollo at Delphi. Faced with this influx of starving people, the god reportedly advised the Chalkidians to seek their fortunes and found a new city in the rich farmlands of Italy. It is probably for this reason that Apollo appears so prominently on the coinage of Rhegion. The lion mask may refer to the Nemean lion slain by Herakles and therefore stands as a badge of the Messenian component of the Rhegian population. A fabergé imperial gem-set bowenite, gold and enamel parasol handle, workmaster michael perchin, st. petersburg, circa 1895.